Following the conclusion of the group phase last weekend only seven teams can still dream of taking the Men's EHF Cup title this season. While the LIQUI MOLY EHF Cup Finals hosts and the defending champions Frisch Auf Göppingen qualified directly for the final tournament courtesy of their Group B win, six other teams will have to enter the last knockout round before the trip to the finals venue. Already on Tuesday 4 April at 11:00 hrs the six sides will be divided in three quarter-final pairings by the draw hosted by the EHF headquarters in Vienna. In three steps the Pot 1 teams (winners of Group A, C, D) – Füchse Berlin, MT Melsungen and SC Magdeburg – Grundfos Tatabanya KC, will be drawn against the Pot 2 teams (the three best second ranked teams) – Helvetia Anaitasuna, Saint-Raphael Var Handball and Grundfos Tatabanya KC. The Pot 2 teams will host the first leg matches. The teams from the same group of this season's group phase cannot meet in the quarter-finals. The first quarter-final leg is scheduled for 22-23 April, the second leg will be played on 29-30 April. The three winning teams qualify for the 2017 LIQUI MOLY EHF Cup Finals in Göppingen (20-21 May). The draw will be streamed live on ehfTV YouTube channel and the EHF's Facebook page. 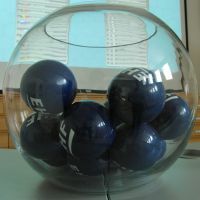 A live ticker will go online on Tuesday morning on eurohandball.com and the event will also be extensively covered on the official Twitter channel of the EHF @EHF.